Peg Corley is the Executive Director of the LGBT Center Orange County. She served on the Center’s Board of Directors from 1998 to 2010 and was Chairperson of the Board from 2006 to 2009. During her time as Chairperson, Peg facilitated a financial turnaround, stabilizing the agency and leading to the purchase of the LGBT Center OC’s permanent home in Santa Ana. The LGBT Center OC is where it is today in large part because of Corley’s vision, commitment and financial expertise stemming from her 18-year career in the financial services industry. Peg has also served on oversight committees and Boards of Long Beach schools. She is currently President of the Board of Trustees of Westerly School of Long Beach, an independent, co-educational K-8 school founded in 1993. Peg is passionate about non-profit work and she is excited to have rejoined her amazing and dedicated team at the LGBT Center OC as they continue their work as THE change agent for achieving the vision of a stronger and healthier LGBTQ community in Orange County . Ann Flory Mason, LMFT, is the Associate Director and Director of Mental Health at the LGBT Center OC. Ann came to The Center OC in 1995 as a trainee in practicum for her Master of Arts in Psychological Counseling degree at National University. She completed her internship at the LGBT Center OC and became a licensed marriage family therapist in 2001. She opened a private practice in Costa Mesa, CA and continued her involvement at the LGBT Center OC as an HIV/AIDS counselor. In 2003 she completed the requirements to become a clinical supervisor and began supervising MFT trainees and interns at the LGBT Center OC. The LGBT Center OC is highly regarded in the community for its culturally competent and affirming MFT training program. Anne Cameron, LMFT, provides clinical supervision at The LGBT Center Orange County for trainees and interns who are completing their clinical hours toward licensure in psychotherapy. Anne’s approach is strength-based and respectful, encouraging interns to explore while being patient and present with themselves as they develop their skills. Anne has worked within the LGBT community for over 25 years. She has been a licensed psychotherapist in private practice in Orange County since 2005 and has worked as a Crisis Clinician with Del Amo Behavioral Health in Torrance since 2010. Stephanie Camacho-Van Dyke​ ​joined the LGBT Center OC in 2011. She has since developed the youth program from a weekly drop-in group to a comprehensive program as Youth Program Manager. Stephanie is passionate about the expansion of safe and supportive spaces for queer and transgender youth and provides ongoing support to over thirty Gay-Straight Alliances in Orange County. 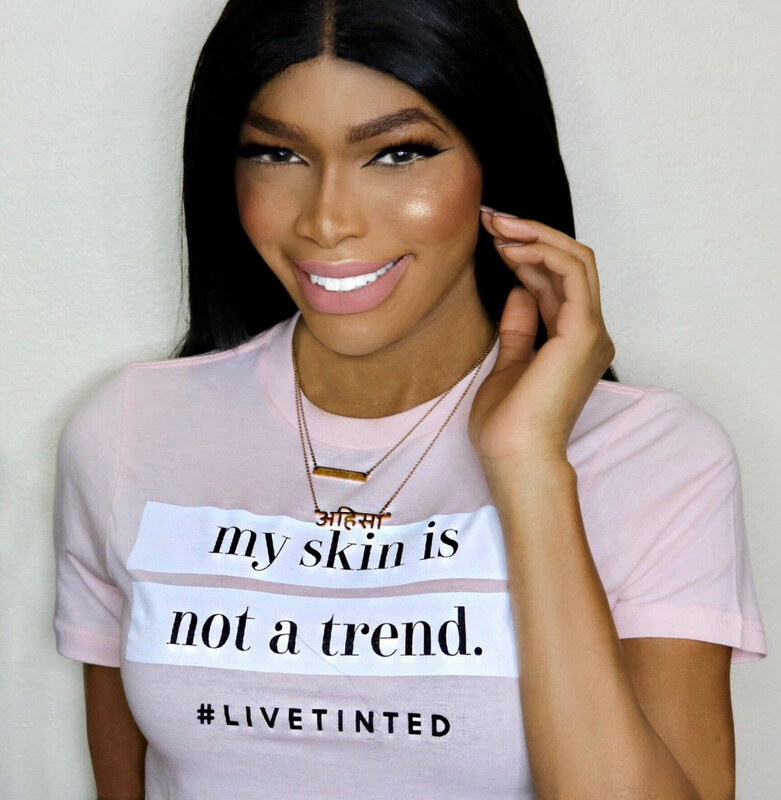 She believes in the power in sharing personal and collective narratives to help mobilize queer and transgender student voices and elicit positive change in the educational system ​and community​. Stephanie earned her BA in English Language and Literature from the University of California at Davis and her MA in English Language and Literature from California State University at Fullerton, where she was awarded several ​academic ​fellowships for her research, including the prestigious Sally Casanova Fellowship Award. In her free time, Stephanie enjoys reading, writing, visiting museums, and taking pictures with her old school film camera. She currently lives in the Long Beach area with her partner and their two cats. Tony Ortuno began his career with the LGBT Center OC in 2012 as a Queer Dream Summer Intern. Tony’s community work began with two leading Orange County grassroots organizations: the Orange County Dream Team and DeColores Queer Orange County. The passion of community activism stemmed from his own marginalized experience as a queer undocumented Latino male. He graduated from California State University, Long Beach with a Bachelors of Arts in Political Science. Luis Fernando Gomez joined the LGBT Center OC in 2015 as an intern while finishing up his undergraduate education at the University of California, Irvine. After receiving his Bachelor of Arts degree in Psychology and Social Behavior, Luis joined the staff of the LGBT Center OC as our DACA/DAPA Coordinator . Now our Immigration Resources Specialist, Luis is available to provide information about forms of immigration relief available to members of our community. We will ensure that qualified individuals are referred to a qualified legal services provider, who is BIA or State Bar authorized to assist with applications for deferred action, other immigration remedies, and citizenship. 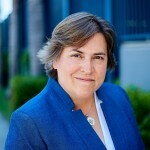 Laura Kanter joined the LGBT Center OC in 2011. She has worked as a middle and high school counselor in Santa Ana Unified School District. Laura’s post-graduate work included research on the experiences of LGBT youth and the best policies and practices to support them. She is an advocate and activist who has fought for marriage equality, the repeal of Don’t Ask Don’t Tell, the rights of Transgender students, school discipline policies, restorative justice and immigration reform. She is a Fellow with the Women’s Policy Institute and was given the OC Weekly 2012 award for Best Voice for the Little Gay in Orange County. Laura has a Master’s Degree in Social Welfare from UCLA and a Pupil Personnel Services Credential. Born and raised in Orange County, Tony joined the LGBT Center OC in 2009. He received a Bachelor of Arts in Political Science from the University of California Santa Cruz. While in Santa Cruz, he became an activist using theater as a platform to educate his community. Immediately after finishing his BA Tony was accepted into UCSC’s Theater Arts Graduate Certificate Program which he completed in 2006. . El habla Espanol. Miliana Singh is the LGBT Center OC Health Care and Transgender Services Coordinator for the Center. She’s a California transplant after relocating from Florida but she’s no stranger to an Orange County after moving from Orange County, Florida. She’s passionate about uplifting and empowering the community through outreach and building a strong sense of unity. Back in 2006, Miliana started her transition in Polk County, Florida in a region that was not gender-affirming and lacked the resources for a successful transition. Despite her obstacles, she was able to become the woman she is today. She uses the past as a reminder of what hardship was like and fuels that into the passion she now has to better the lives of those she’s able to affect. Miliana started at the Center as a volunteer and within a year, transitioned into an employee for the Center. She’s so excited for the positive changes to come. Tate started as a front desk volunteer with The Center OC in September of 2008. He started as an HIV test counselor shortly thereafter. After years as a volunteer, he was brought on as the HIV Test Coordinator. His duties include HIV counseling and testing, risk assessment and harm reductions counseling, HIV education and prevention, as well as referrals to clients for additional services. Jasmine came to the Center with over 10 years of non-profit fundraising, event planning, and business development experience. She has worked with organizations ranging from health, social services, and education. Jasmine holds a BA in Psychology that she utilizes everyday, believing that the more you understand people’s differences, the more compassionate and empathetic our society will be. In her free time she enjoys time with her daughter, video games, road trips, traveling, and being outdoors. Born in Orange County and raised in Temecula, California, Jay joined the LGBT Center OC in August 2018. He is passionate about advocating for the LGBTQ+ community through activism, outreach, and all types of community service that will expand visibility and encourage support for those across all marginalized intersections. He began his own transition in 2016 without access to gender-affirming medical staff, insurance, or other vital means of support. 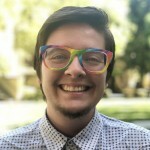 After getting in touch with the LGBT Center OC, he was able to connect with the life-saving resources needed to successfully start his affirming transition into the non-binary transmasculine individual he is today. Jay graduated from Loyola University Chicago with a BA in History, and is determined to use his knowledge of the past to help change the future for the better. In his spare time, he creates inclusive and activist-inspired artwork through writing and illustrations. Chandelle W. Loop has volunteered her time in numerous organizations since the age of 15. Her notable volunteer experience includes Habitat for Humanity, The Humane Society, Society of the Promotion of Japanese Culture, UCR Conversation and American Culture Program, and many others. Her experience lead to her sign up to volunteer for the 2015 Orange County Pride Festival, not realizing the O.C. had more to offer for the LGBT community. After being exposed to the Center on 4th, Chandelle became a dedicated volunteer, ultimately joining the Center’s Events Committee with a focus on obtaining auction items for the Center’s fundraisers. With experience and background in management for convention volunteers; she joined the LGBT Center OC team in 2016 as the new volunteer coordinator. LeAnn Monson is the Accounting/H.R. Coordinator for the LGBT Center OC. She brings 20 years of knowledge and experience in Accounting, Management and Human Resource. She currently holds an Associates degree with the emphasis in Accounting and Finance. LeAnn‘s passion to help others, lead by a positive example and advocate for human rights makes her feel at home with the LGBT Center OC. She is proud to be a part of the LGBT Center OC and looks forward to volunteering her time, as well as assisting in the various events and programs. In her spare time, LeAnn loves to cook and entertain. One of her passions is events planning, whether it be a birthday party or a wedding, she will be there to help!